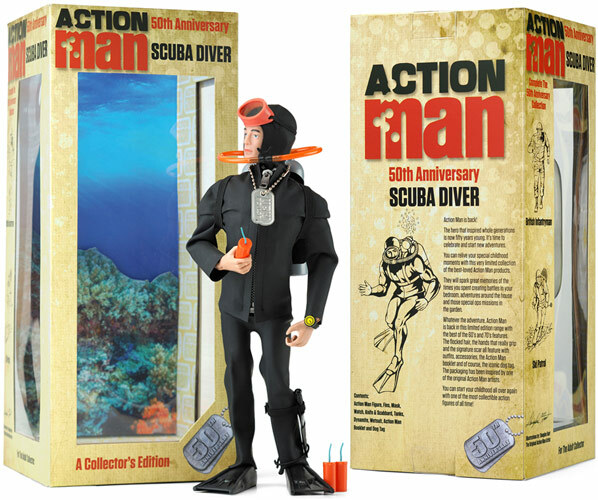 In January 2017 a set inspired by the original "[Navy] Frogman" is released to further celebrate the 50th Anniversary of the launch of the basic Action Man Action Soldier of 1966 in the UK. 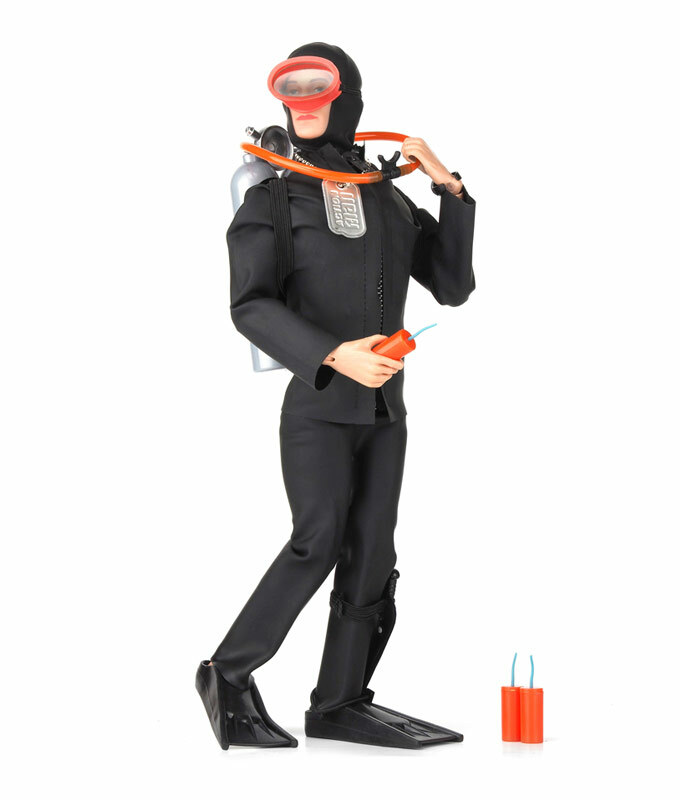 This release is part of the plan of rebuilding the Action Man brand once more in the UK. 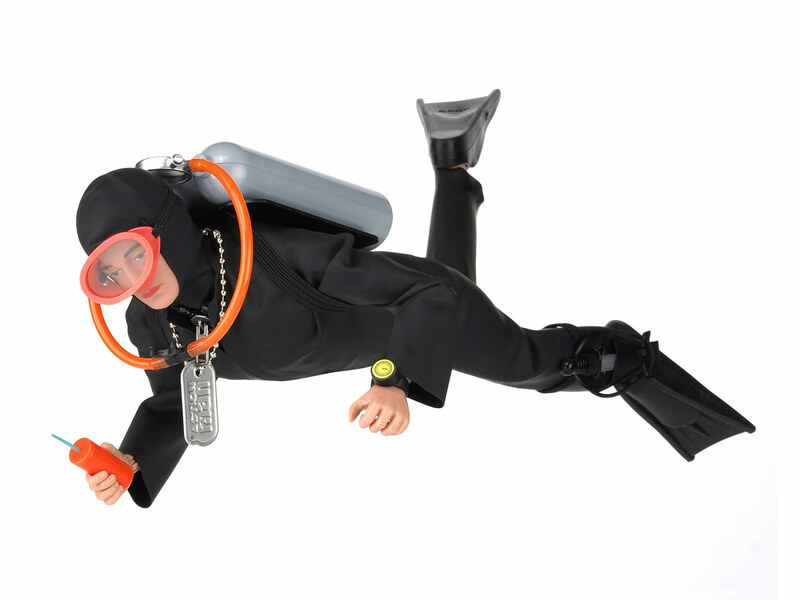 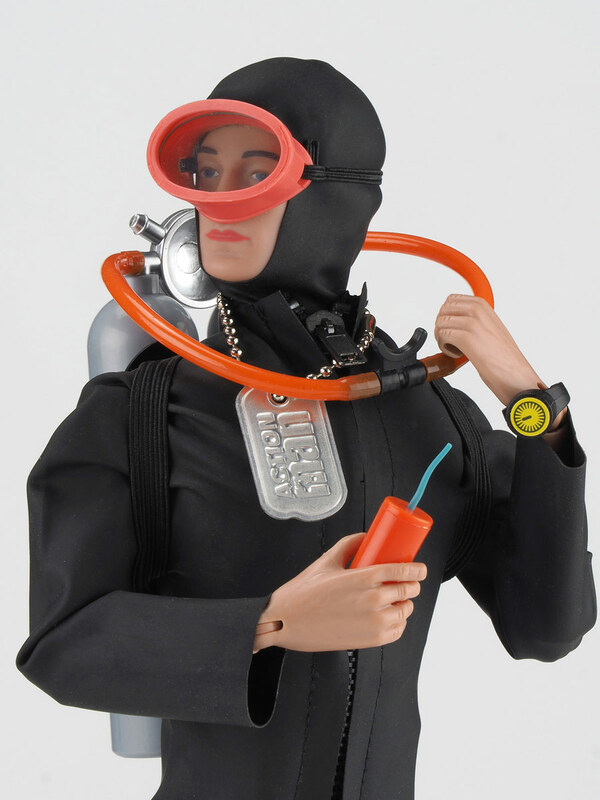 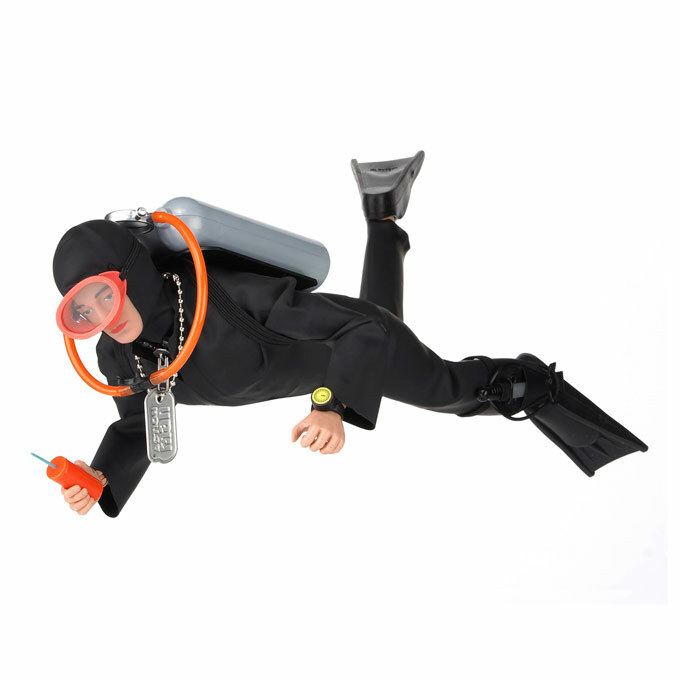 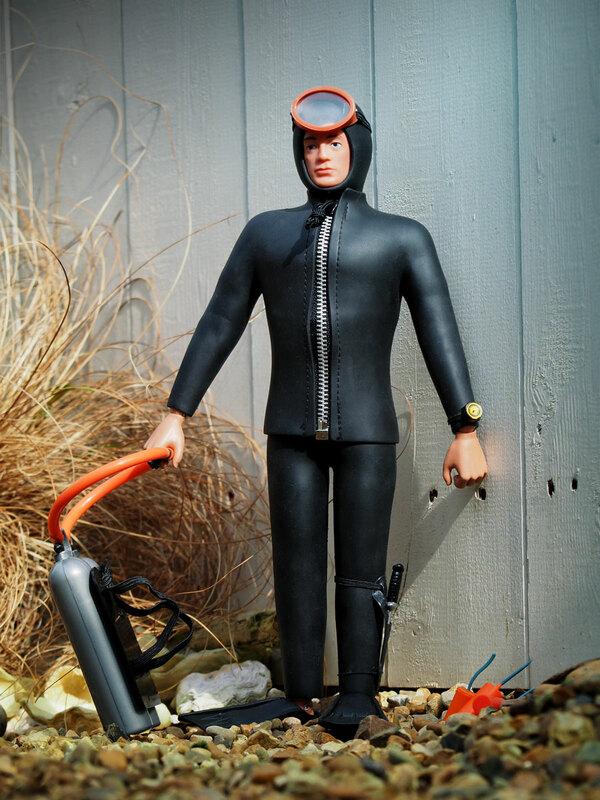 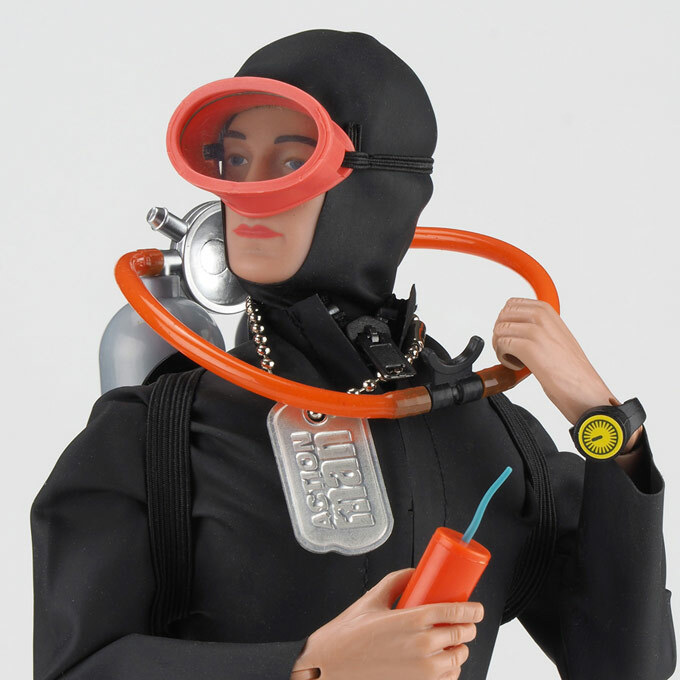 The Scuba Diver's equipment is similar in design to the 'Navy Frogman' of the type issued for the very first Action Men. 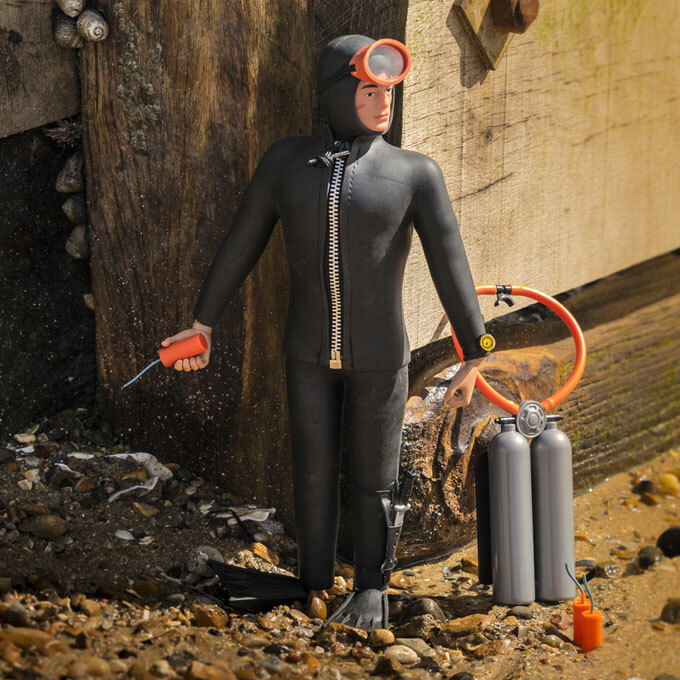 The new wet suit has a lighter weight than the original, allowing free movement of the figure with a concealed zipper reminiscent of the 1960's original. 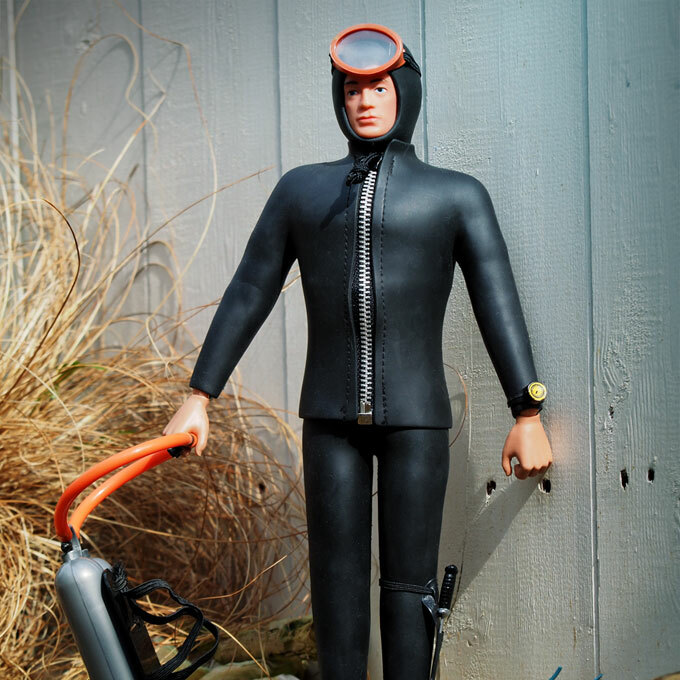 This new figure will prove popular as many of the original wet suits have now perished over time. 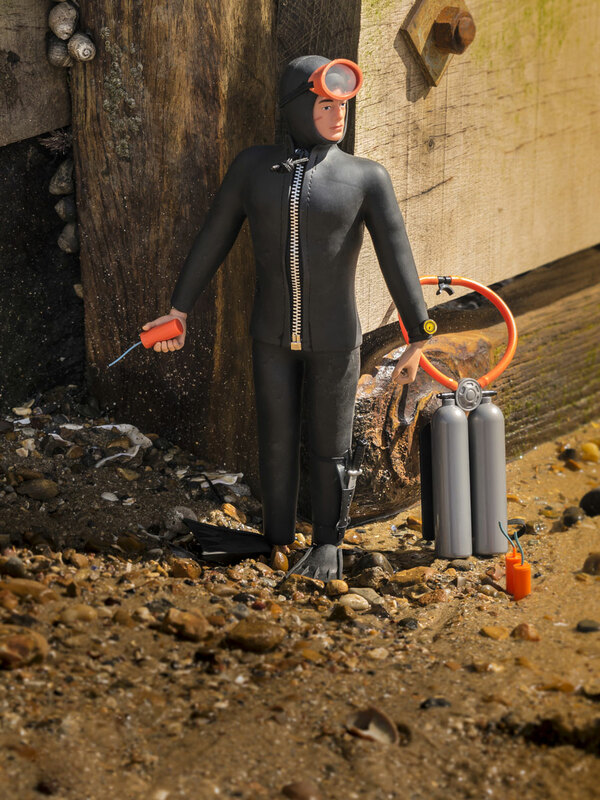 The orange dynamite sticks have new softer, flexible and stronger fuses. 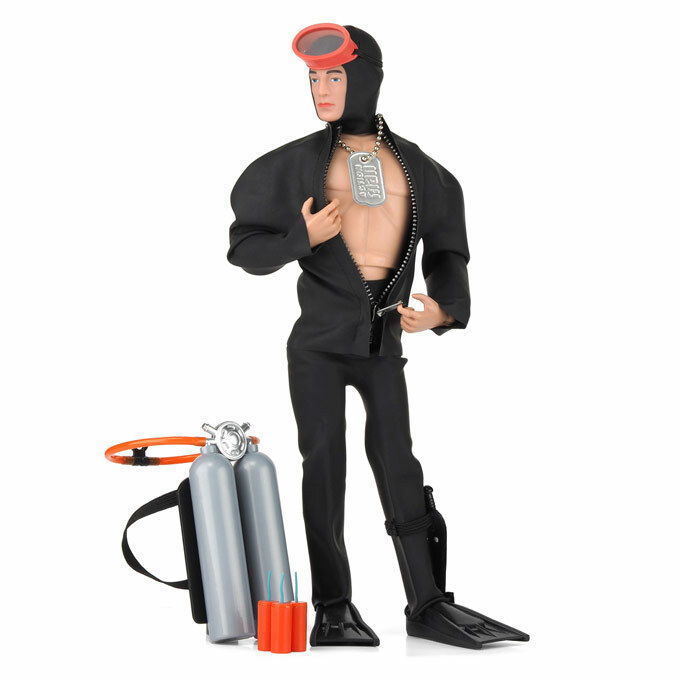 He has flocked hair, and gripping hands and a hand-made body similar to the original Action Man figures of the 1960's and 1970's. 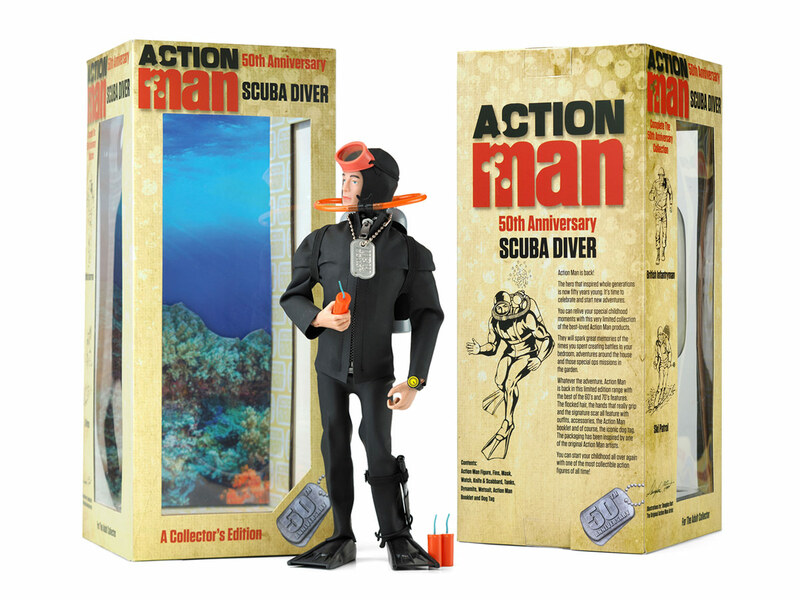 He comes in a high quality gift box that also doubles as a presentation set with underwater 3D diorama.